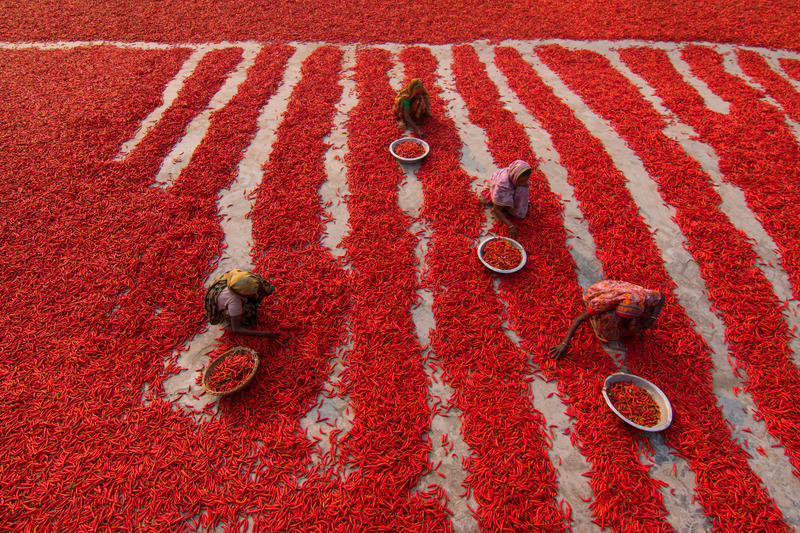 Comment: Countless chilli peppers surround labourers in the Bogra district in the north of Bangladesh. More than 2,000 people work in almost 100 chilli farms in Bogra in Bangladesh to supply local spice companies with chillies for use in their recipes. Chilli peppers are a major part of the Bengali cuisine popular in Bangladesh and are used as part of a combination of spices for various meat dishes, including chicken and beef.